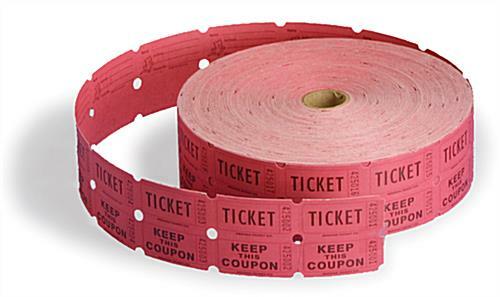 These drawing tickets for raffles are sold in a double-wide roll of 2000, so there's little chance of running out at an important event! The red lottery supplies template used here complies with industry standards for printing across the country. Each of these tickets for raffles and drawings can be purchased with a potential prize attached for fundraisers and concerts. 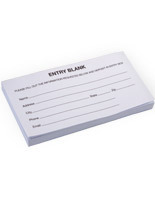 Imprinted on the back is "Name", "Address," and "Phone No," so contestants can be properly informed. 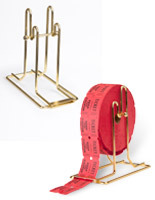 These tickets for raffles and fundraisers provide chance winning opportunities for event participants. "Admit one" supplies such as these are an excellent choice for coat checks, museum tours, and the like.